Thu Bon River: With a basin area of ​​10,350 square kilometers, this is one of the largest inland rivers in Vietnam. 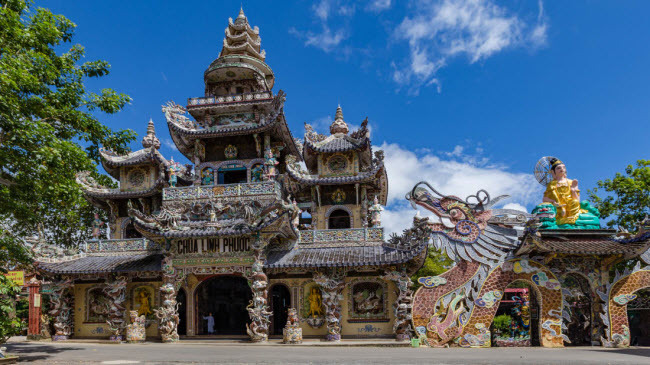 The river originates from Ngoc Linh massif in Dak Glei district, Kon Tum province and flows into the sea at the Great Hall, Hoi An city, Quang Nam province. 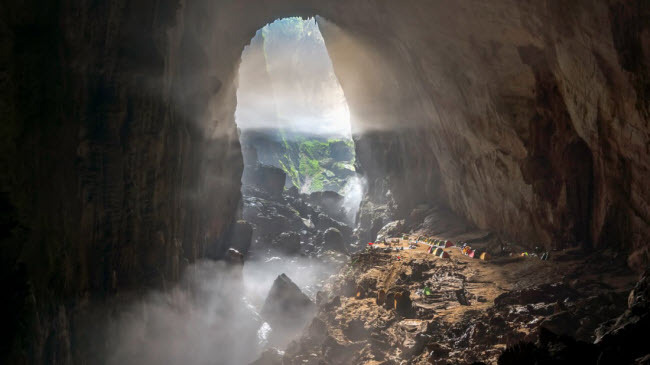 Son Doong Cave: Discovered in 1991, Son Doong is the world’s largest natural cave. It has its own ecosystem with rivers and forests. 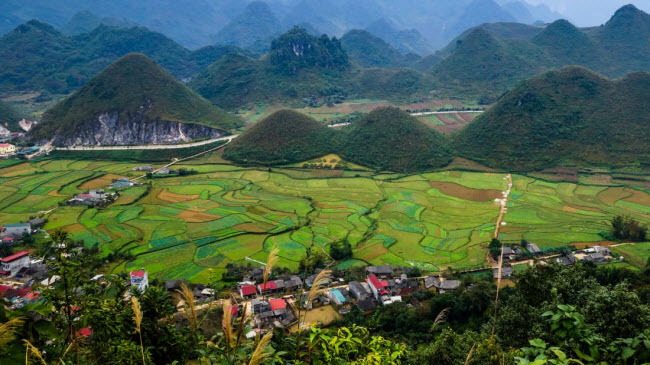 Sa Pa: The mountainous town of Lao Cai attracts visitors who enjoy the fresh air, waterfalls, terraces, bamboos and trekking. 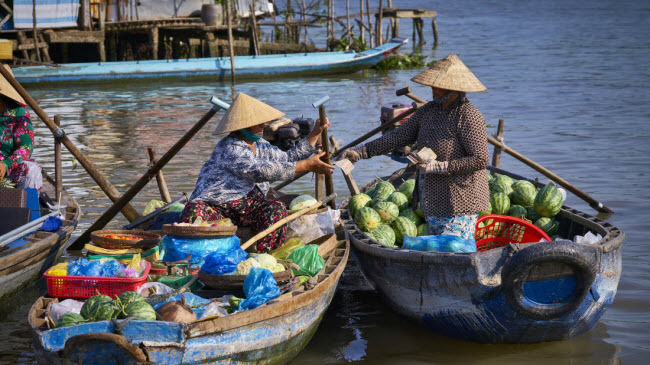 It has the highest peak in Vietnam, Phan Xi Păng, with an elevation of 3,143 m.
Can Tho: One of the most scenic cities in the Mekong Delta, Can Tho is famous for its rice paddies, jetty, floating markets and traditional food. 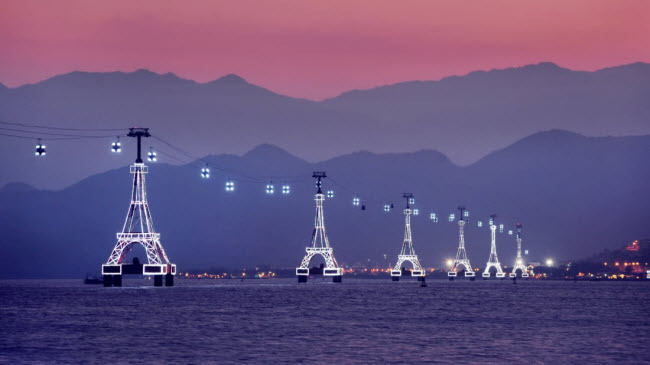 Vinpearl Nha Trang Cable Car: The sea cable car connects Nha Trang City with Hon Tre Island. From the cabin, you can admire the scenery of the sea below and the majestic mountains in the distance. 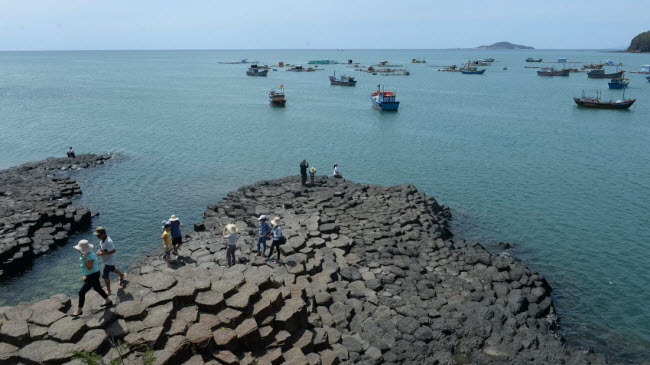 Son Tra Nature Reserve: Located in the northeastern part of Da Nang, this nature reserve is one of the greenest in Vietnam. 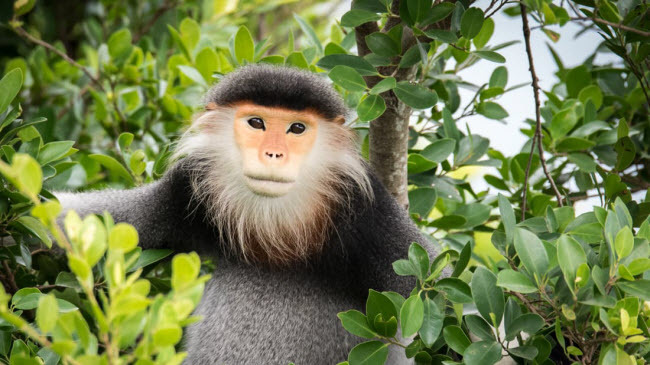 The million year old tropical forest here has ancient banyan trees, rare plants and douc langurs. 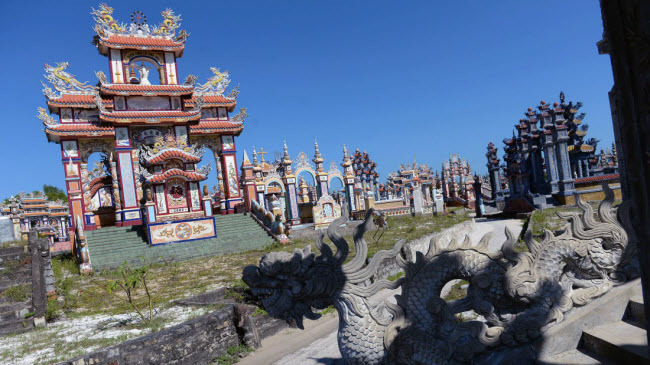 Dong Van Rock Plateau: Recognized by UNESCO as a global park, the Dong Van rock plateau impresses with the limestone peaks in the green valley..
Caodaism in Tay Ninh: Built in 1955, Cao Dai’s religious works are located in Hoa Thanh Town, Hoa Thanh District, Tay Ninh Province. 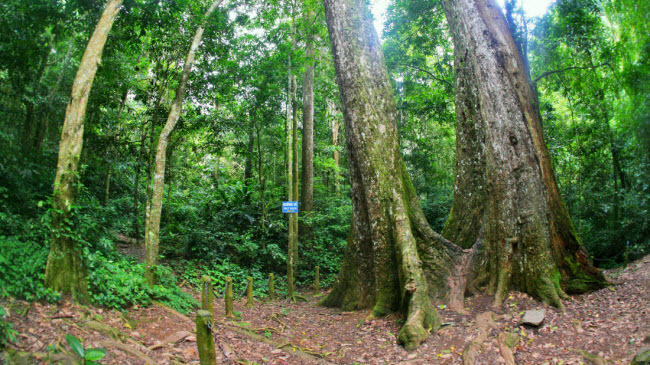 Guests can visit the site in the morning or in the afternoon. Stone Dune: Thousands of years ago, volcanic activity formed a hexagonal geological structure that rose to the surface, like a fish scale. 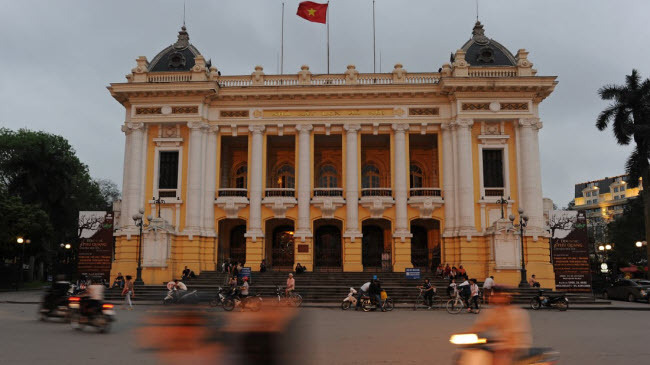 Hanoi Opera House: Built in the French colonial period from 1901 to 1911, this project is considered one of the architectural highlights of Hanoi. Today, the theater becomes the venue for music events. 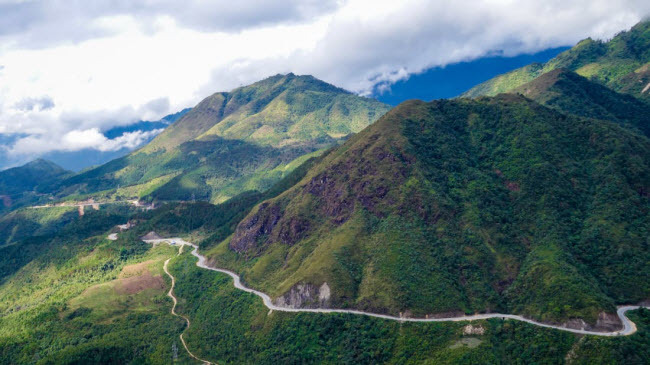 Highway 4D: connecting the province of Lai Chau and Sa Pa, 4D highway is a challenge road even with experienced drivers. But along this route there are many beautiful scenery like Tram Ton pass. 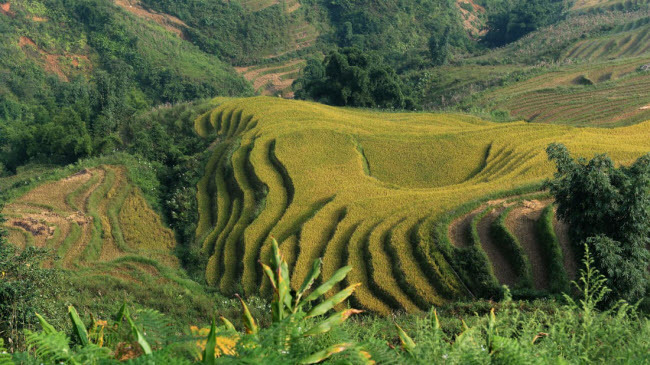 .Than Uyen terraces: Located in the remote area of ​​Lai Chau province, Than Uyen terraces are the ideal place for the “hands”. The scenery here is most beautiful in the harvest season from September to November every year. An Bang Bottle Village: The village is considered a “ghost town”, with a 250 hectare cemetery consisting of hundreds of elaborate family graves. 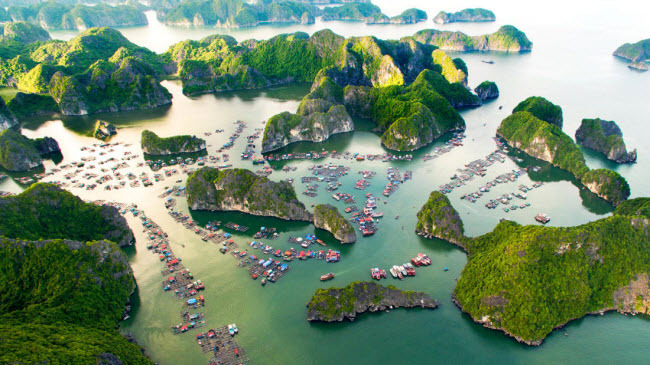 Halong Bay: Recognized by UNESCO as a World Heritage Site in 1994, Halong Bay is famous for its thousands of islands, caves and limestone structures. This site attracts millions of visitors each year. 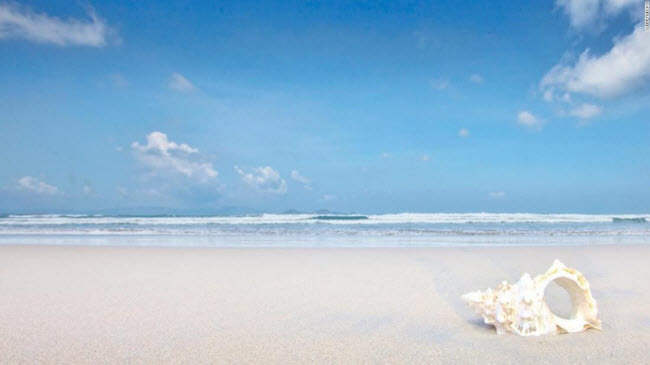 Con Dao: This archipelago is famous for its colorful coral reefs, clean beaches and turtles’ breeding grounds. Historical explorers can explore the prison grounds on the island. 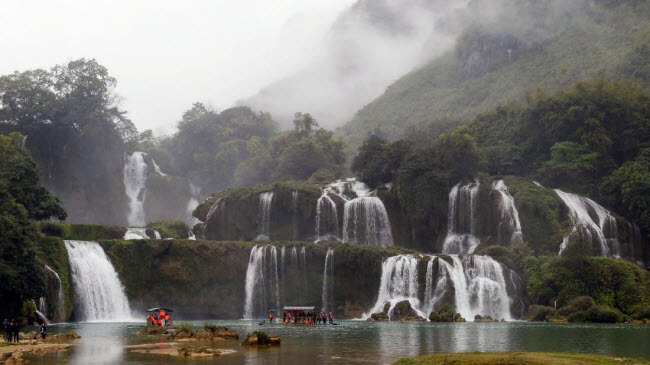 Ban Gioc Waterfall: Located between Vietnam and China border, Ban Gioc waterfall was formed thousands of years ago. The main waterfall is 30m high and 300m wide. 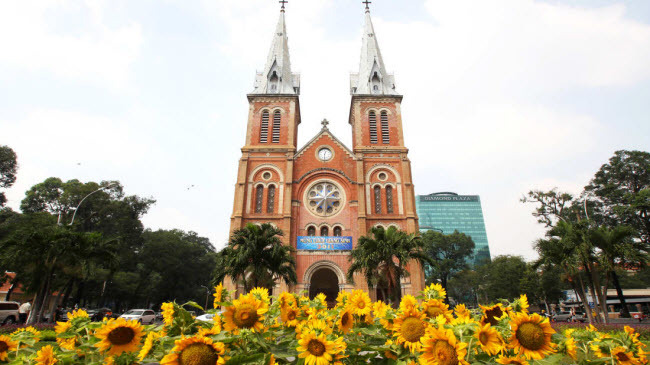 Notre Dame Cathedral: Located in the heart of District 1 of Ho Chi Minh City, the church was built between 1863 and 1880 by the French colonialists. The architecture of the building is a combination of Asian and European styles. 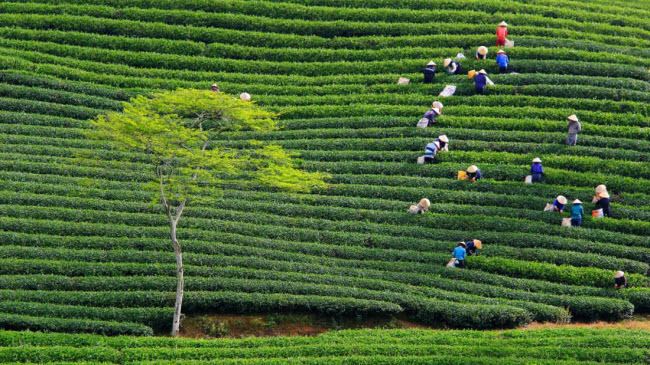 Da Lat: Located at an altitude of 4,900 m above sea level, Da Lat enjoys cool climate all year round. The city is famous for its French-inspired architecture and poetic landscapes. 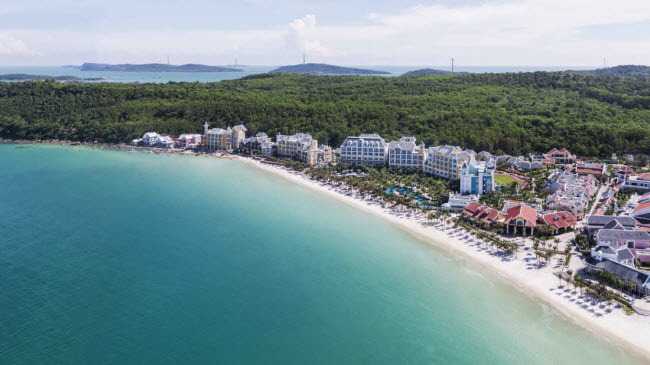 Jungle Beach: The tourist destination in Nha Trang boasts beautiful views of the white sand beach. After enjoying the sea, guests can spend hours lying in the hammock enjoying lemonade or fresh fruit. 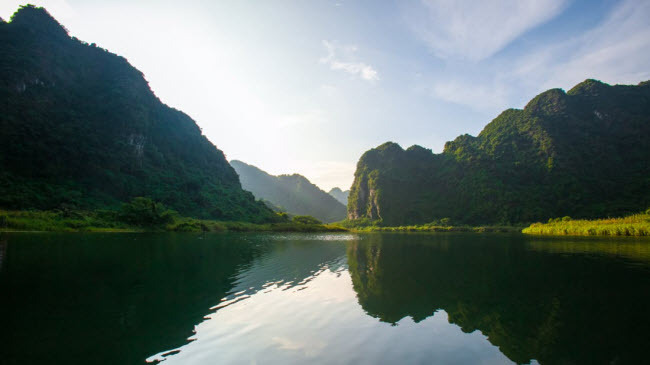 Trang An: The impressive Trang An complex impresses with the beautiful river and cave system. 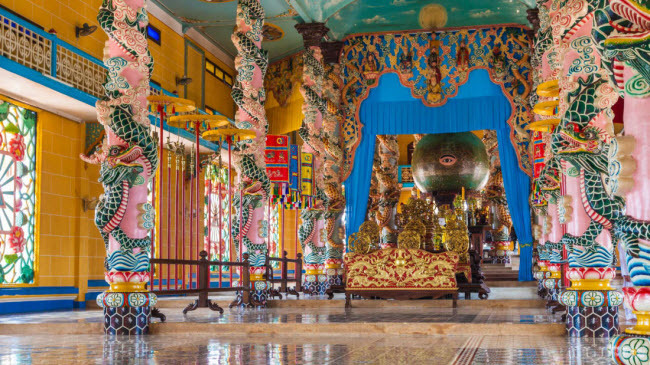 In addition, visitors can explore small villages, rice fields, temples, pagodas and forests. 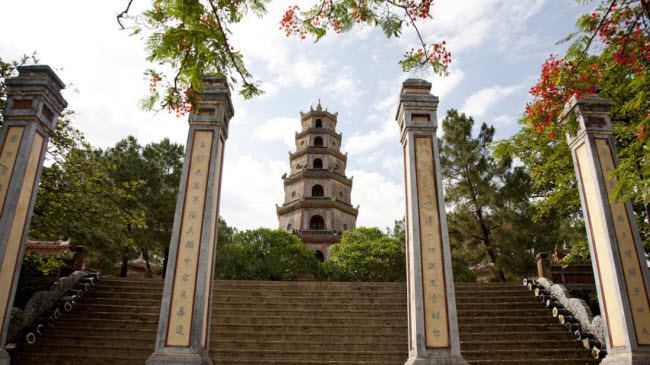 Linh Phuoc Pagoda: Built in 1952 in Dalat city, Linh Phuoc Pagoda has the highest bell tower in Vietnam. 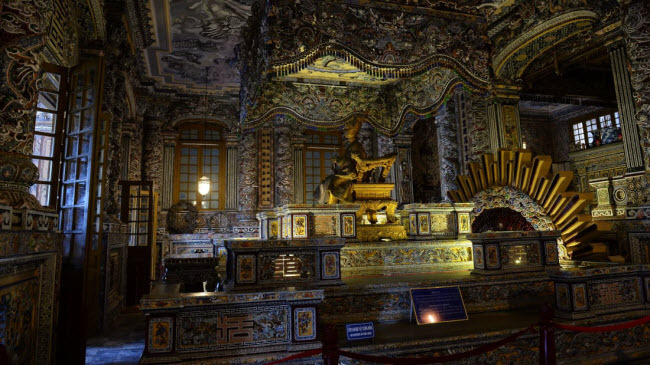 But the most impressive feature of this work is the dragon statue is covered with porcelain and broken glass. 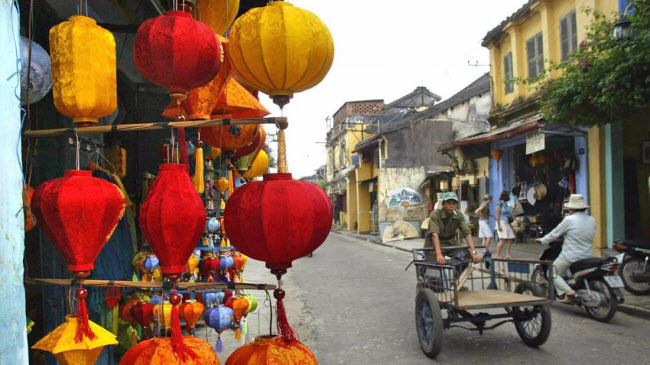 Huế: The city is now a cultural and historical center in Vietnam, with ancient relics, Thien Mu pagoda and ancient buildings from the French colonial period. 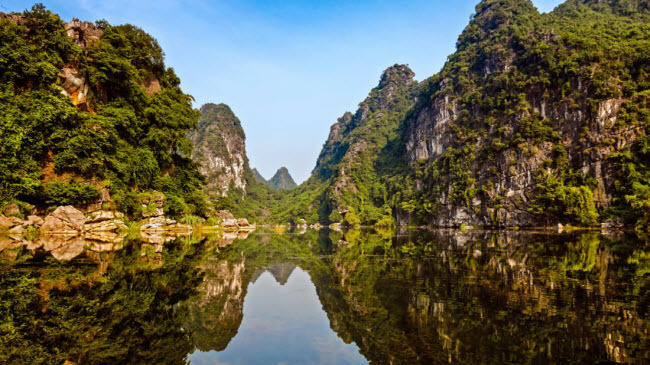 Cat Ba Island: This 300-square-mile island is famous for its pristine beaches, discovery trails, mangroves, karsts, fortresses, caves. Ngo Dong River: As part of the Trang An populations, Ngo Dong River is one of the most scenic spots in Vietnam. 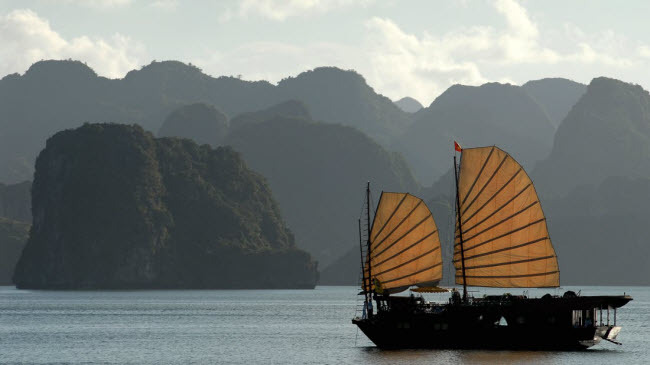 The best way to experience it is by boat travel by local people. 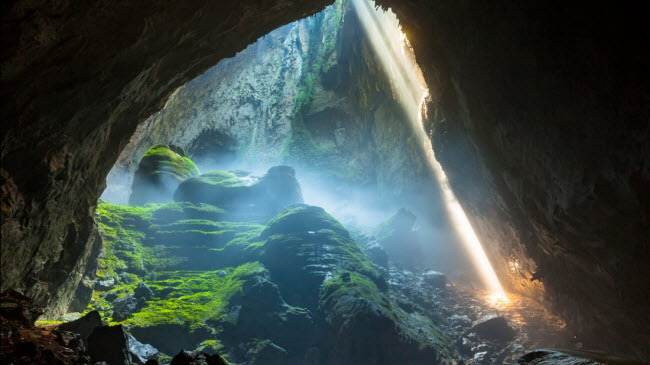 Phong Nha-Ke Bang National Park: This is a paradise for visitors to explore the cave. 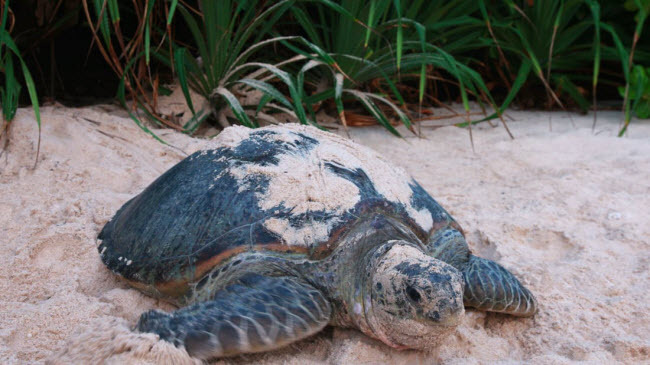 The reserve has more than 300 caves in limestone mountains, rainforests and underground rivers. 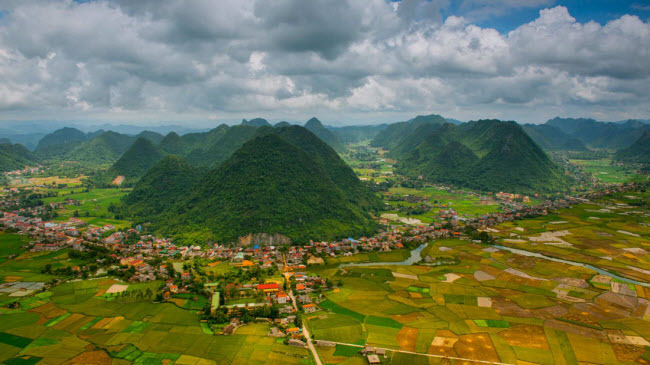 .Bac Son Valley: Surrounded by conical mountains and tranquil rice fields, the Bac Son valley in northern Vietnam is a must-see destination for nature enthusiasts.